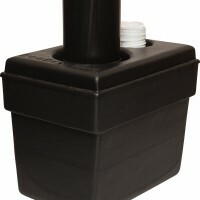 The Eco Dry Box is for the Eco Dry toilet. Waste is collected in it emptied periodically. The Box has a connection for a vent outlet.